In September I enrolled in the individual lessons with Julia Langdale training my 3 year old Westie, Sophie. Julia was amazing and Sophie became a “wonderdog” and I became the “pack leader”. My experience with Julia was so positive that I encouraged my 85 year old father to have his 2 year old “Teddy” trained. My father opted for the group lessons. Because of dad’s advanced age I also attended the lessons to assist him. As you know, the group lessons included the students from your Professional Training Program. I am sending you this email to ask that you thank all of them, on my behalf, for the kindness and attentiveness that they gave my father. We had several students over the course of the lessons “assist” dad. I was very impressed with not only their professionalism but their caring attitude towards both the dog and its owner. Teddy has become a “wonderdog” and my dad is thrilled with the results. I also enjoyed the time in the class and discovered there were several things that I had forgotten. It was a great refresher course for me. Once again please thank your instructors and “assistant instructors” on both my father and my behalf. I have owned Ruby since she was a puppy ( 10 weeks old).Ruby was attacked when she was 2 1/2 and started showing leash aggression towards other dogs within six months of that attack. Her attacker was her much smaller, generally submissive lab x playmate. Over time she became more unpredictable and reactive with other submissive type dogs. Fortunately, she has never caused any harm to another dog but she became a full-time on leash dog. I have over the past few years sought the help of several dog trainers and an animal behavioralist to deal with these issues. Although I did learn some tools/tricks to avoid any confrontations with other dogs it was not in anyway a solution. Enter Ben Kersen. I have known Ben for several years both as a dog trainer and outside of that. There are several reasons I decided to call up Ben and enlist his help. First, Ruby and I went through his group training as a puppy 5 years ago and so have a history with him. Secondly, he was the first trainer to actually evaluate her level of aggression towards other dogs in a real life situation without putting anyone or any dog in jeopardy. Thirdly, based on the ladder information, he was able to provide me with a game plan for her rehabilitation. An essential part of Ben’s plan for Ruby was getting her into the Doggie College program so that she could have daily obedience and supervised interaction with other dogs in a controlled environment. I will say that there was a noticeably positive change in Ruby after Trina began working with her. I began group sessions in mid May and it was at that time that I was able to experience Ruby’s improvement first hand around other dogs. It was obvious by her relaxed, attentive and happy demeanor that significant progress had been achieved. I witnessed her unquestionable connection to Trina and her willingness to do what ever was asked of her. Most importantly she was not showing any signs of aggression! I also witnessed her overwhelming popularity among all of the students and on several occasions was told what a great dog Ruby was. To my knowledge she became one of the pack! I consider this experience a giant success for both Ruby and myself. I do appreciate that where Ruby is concerned it will be a lifelong process but that I will forever have the support, resources and coaching of Ben and his staff. I believe that Ben’s program has saved my dogs life and I am forever grateful! Hi, my name is Julie. I have two yellow labs that are 2 1/2 yrs old. I had been having a hard time controlling my dogs they would pull hard on the leash, very distracted by others dogs only come when they wanted to and all this was making it very hard to take them for a walk. My husband and I had other dogs before so we figured we would be able to train these two, but by 2 1/2 they were only listening when they wanted to so I thought about looking for help with training my dogs. A friend at work had mentioned that years ago she had taken her dog to Ben Kersen and to give him a call. I looked him up on the internet and was quite interested. I made an appointment for a one hour private session with Ben and was amazed. I brought my lab Koda the jumping pulling non-listener, I handed Koda over to Ben.He hooked a long rope to the training collar and took koda for a short run and got him all excited and with in 5 to 10 mins he had Koda sitting on command. Then with in 30 mins you could see Koda was only paying attention to Ben, even when other dogs were brought in to distract him he never moved. He just sat calmly, normally Koda would run as fast as he could toward another dog and pull me behind. And all this training was done while Koda was having fun, his tail was waging the whole hour. By the time the hour was up Koda was not jumping on people, he was sitting on command and staying there while other dogs walked around him. And all this was done while he was off-leash! It amazed my husband and I. And what impressed us the most was that Koda was enjoying every minute of it. We were so impressed that we signed up for the group sessions so that we could learn how to control our dogs in the same manner. Ben and his staff did a fantastic job with basic obedience training on our 7 month old mastiff, Rocco. I admit to being a bit apprehensive with the time and commitment when I enrolled Rocco for training while having to travel from out of province. In the end it was well worth the endeavour. I am now fully comfortable and confident walking Rocco off leash in the neighbourhood and around other dogs and people. Rocco returned with a calmer disposition, greatly more attentive and completely capable of performing all the basic obedience tasks. With Bens help, I am looking forward to advancing Roccos training to a higher level. I have two dogs; a German shepherd and a mixed breed named Tessa and Molly. My husband, Darren, and I took each dog to Bens training course and I cannot tell you what an experience it was! Not only are our dogs obedient, the relationship that we built with them through this interaction is incredible! We read each others body language and it is an amazing phenomenon! Unless one experiences this, there is no other way they can appreciate what we have experienced. I want Ben and all his trainers to know that we always and proudly recommend them and tell people of our experience by going through this course. I have listened to other stories, but none compare to what Darren and I got out of this individually in the development of our wonderful and fulfilling relationships with our babes! Thanks to Ben and all his trainers for facilitating such an experience! After talking to Ben for the first time, I was pleasantly surprised to hear that there was no reason why our dog couldn’t be trained for a reasonable amount of money. Not only did this impress me but Ben told me he could do it and did, in only twelve sessions. We now get compliments everywhere that we go on what a well-trained dog Kodi is. I just wanted to take this chance to thank you and your trainers. The lessons are fun and Smiley and I thoroughly enjoy attending. The cost of the course has been the best money that I have ever spent. … my retriever-x, Abby … loved the positive atmosphere of the training sessions, learned quickly, and enjoyed the Saturday mornings at the Wonderdog Club after graduation. Here she was challenged with perfecting the commands while distracted by other dogs and people. This was one of the most valuable aspects of Ben’s methods …the emphasis on training the dog to listen to you in these “real life” situations. Since leaving Victoria a few months after finishing the first level of training, I have been unable to find training classes that are as motivating and productive as Ben’s. Now that we’re back in B.C., Abby and I are looking forward to once again enjoying Ben’s fun and rewarding training methods. At 4 1/2 months old Maximus is housetrained and I feel that I can really enjoy having a puppy around the house. Thanks Ben! 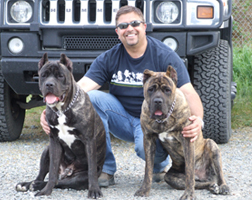 I have referred my clients and their dogs to Ben Kersen for several years. The response I get from my clients is overwhelmingly positive, the response I see in their pets is remarkable. I can often tell which owners have taken Ben’s course by their pet’s behavior in my clinic. Training your dog right from the start is the best investment you can make for your pet. It is a pleasure to recommend Ben Kersen for this important task.